Let’s talk onions. Caramelized onions to be exact. Oh, I know, they sound like a fancy schmancy foodie indulgence. Something you might have when you eat out at a restaurant, but would never make at home. Here’s the thing – they are actually super easy to make! And they can add a whole new dimension to your favourite dishes – sweet, mellow onion flavour without all that raw onion breath aftermath. 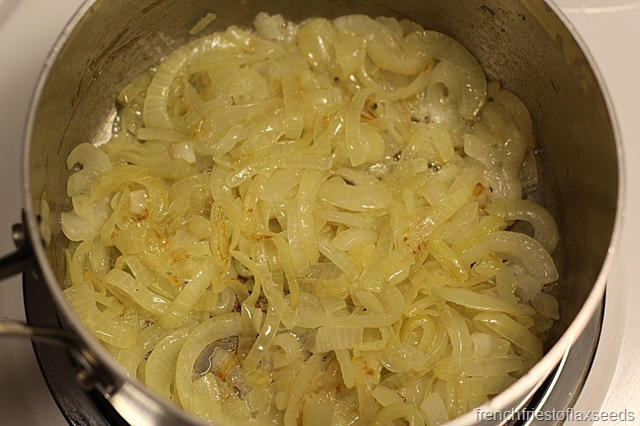 You only need a couple of things to make perfectly caramelized onions – onions (duh), butter or oil, a deglazing liquid (stock, wine, beer, water), and time. 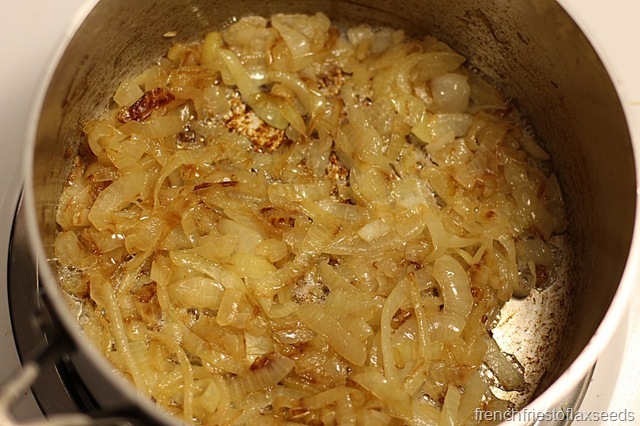 Yes time – the key ingredient to perfectly caramelized onions. 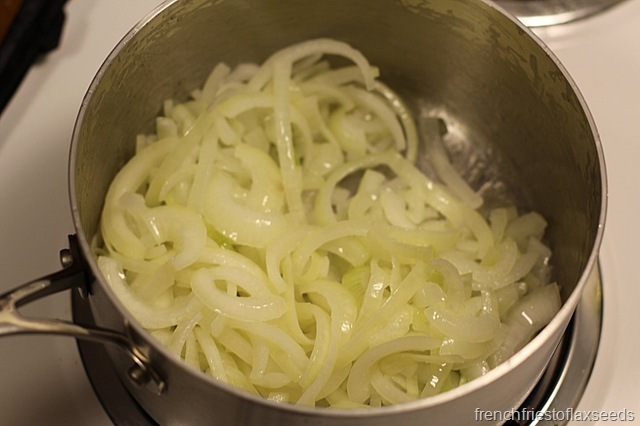 You need to set aside a good 45 minutes to truly develop that caramelized flavour and soft texture as the sugars slowly come out of the onions. This means you need to use low heat and some patience. So don’t try and make caramelized onions on a busy weeknight – save it for a slow evening, and make a big batch that will last you throughout the week (or even freeze some for another night). 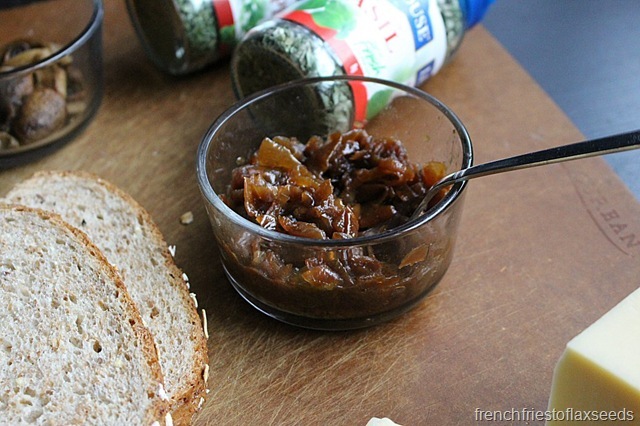 I won’t bother sharing a recipe for caramelized onions – because honestly, that’s not necessary. Measurements of onions, fats, and liquid don’t really matter – it’s all about technique, and these tips from Bon Appetit are all you need as far as I’m concerned. 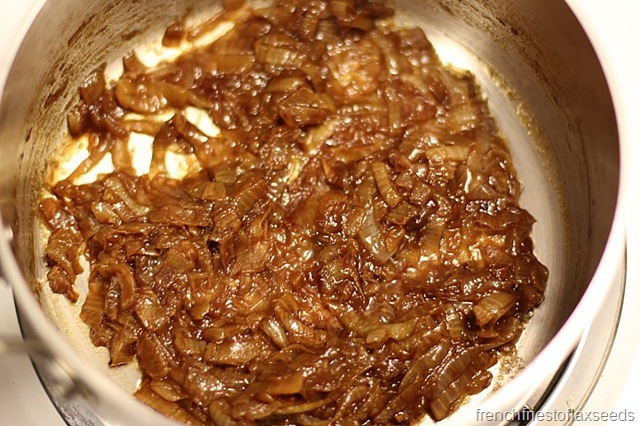 Instead, I will share with you a recipe that uses those delicious caramelized onions, because chances are you aren’t just going to eat them by the spoonful. 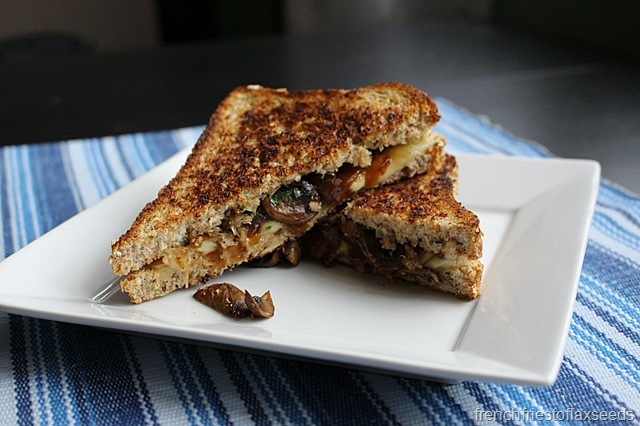 There is a little artisanal soup and sandwich shop here in Prince George called The Salted Cracker, and they used to have a delicious mushroom and Swiss grilled cheese on their menu that also included caramelized onions. It was my go-to sandwich when I went there. Alas, it seems they have removed it, so I figured I should just make my own (which is more economical anyways). Grilled cheese is totally fall comfort food, and can definitely be on the “heavy” side depending on what bread you choose, and how much cheese & butter is involved. And if I was going to criticize one thing about the grilled cheese at The Salted Cracker, they are definitely on the heavy/greasy side, at least for my tastes. So when I made mine, I chose a sprouted grain bread to add more fibre and give it more texture/flavour, and I’m fairly certain I used less butter, as I only add it to the outside of the sandwich so that it browns properly. What I ended up with was a delicious, hearty sandwich with all the flavours I loved of the original that didn’t leave me feeling so weighed down afterwards. It also made and excellent accompaniment for a bowl of creamy tomato soup – basically the perfect fall comfort meal. 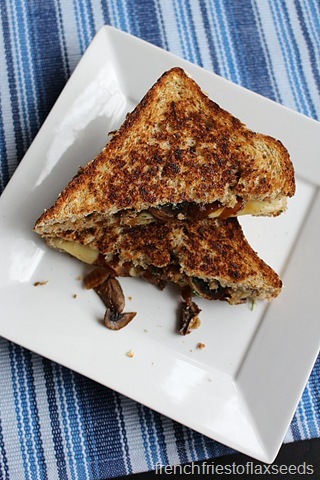 Step up your grilled cheese game with sweet caramelized onion, sautéed mushroom, and nutty Swiss cheese. Pair it with your favourite creamy tomato soup for the perfect fall comfort meal. 1. Heat a frying pan over medium-low heat. 2. 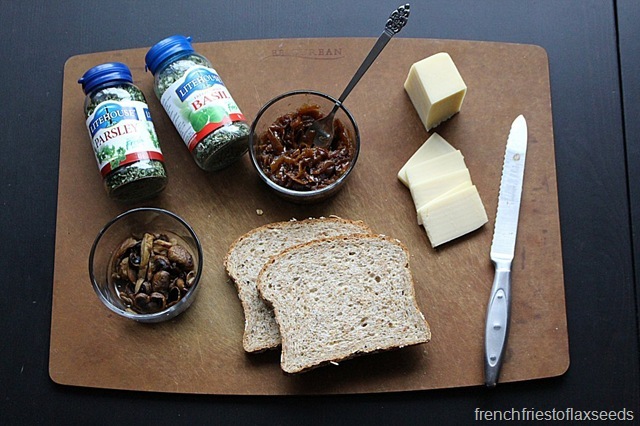 Layer your Swiss cheese, sautéed mushrooms, and caramelized onions on one slice of bread. Sprinkle with chopped herbs if using. Place other slice of bread on top. 3. Butter one side of the sandwich, then transfer butter side down to your heated pan. While it is cooking, butter the other side. 4. Flip sandwich over when the first side is a deep golden brown colour. Cook until cheese is melty and other side is also golden brown. Remove from pan, slice in half, and serve! 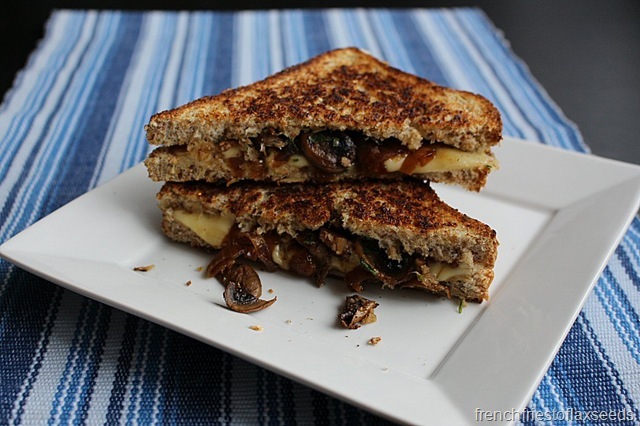 What is your favourite thing to add to a grilled cheese sandwich?